Safety Alert! 3 Unexpected House Fire Causes! Recently, I was working with a client whose home burned down in a fire. What shocked me was that his fire wasn’t from one of the usual causes you hear a bout, like faulty wiring. His fire started with fitness when an exercise treadmill suddenly burst into flames while no one was using it. When I researched this issue, I found one insurance agent reporting that he’d dealt with 3 separate house fires caused by treadmills in just 18 months! The problem is that the motors keep running as long as the treadmill is plugged in, so any malfunctions can lead to a fire. 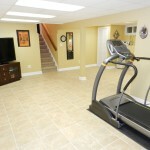 The best way to protect your home is to unplug your treadmill after every use. The second precaution you can take is placing your machine on top of a sturdy rubber mat made just for this purpose. This is a useful practice in more ways than one. The mat will keep carpet fibers and dust balls out of the motor, while also cutting down on the impact when you run. This keeps down the noise level when you exercise, and insulates your floor and the machine from all those jolts as you hit your stride. So what else should you be looking at suspiciously right now? I’d suggest checking out your power plug situation. There’s a big difference between an extension cord and a power strip, and knowing the difference when you plug in can save you a lot of grief. Power strips and surge protectors are UL rated to handle continuously powering your media centers and computers. They’re characterized by heavily insulated wires, master power switches and cords no longer than 25′ long. 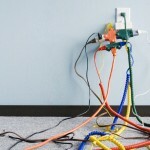 By comparison, extension cords are only supposed to be used for short-term, temporary purposes. Thinner, less insulated cords and longer cable lengths make them much more vulnerable to damage and potential fires. 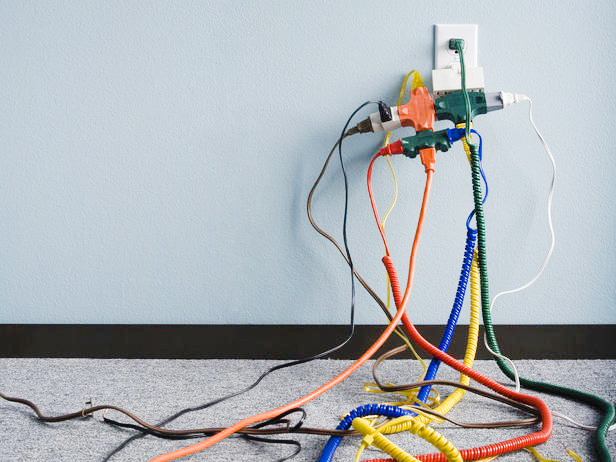 It’s estimated that extension cords cause 3,300 fires a year and around 300 injuries and deaths. So what can you do? Only use extension cords with polarized plugs – which you can identify by the two differently sized prongs. Also, dispose of any that lose insulation along the cord or simply seem like they’ve gotten all bent out of shape over time. The cost of a new extension cord is nothing compared to what you’ll have to go through if there’s a fire. Additionally, avoid creating long chains of separate extension cords. Just keep one extra long extension cord around the house and you’ll avoid the temptation to rig up a major fire hazard. 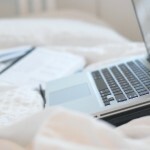 If you regularly use your laptop in bed or on the couch, you need to be very careful about where you leave the computer when you’re done. Nowadays most of us don’t bother shutting everything down – we just just close the case and carry on with our day. This is fine, but make sure you leave your laptop some room to breathe. 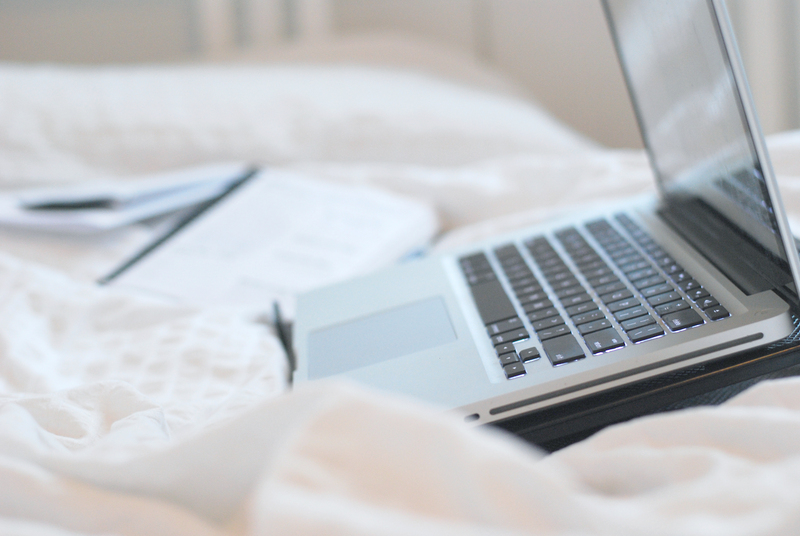 Cushy bedding and couches will swallow up all the heat your laptop is trying to vent and there are many documented cases of homes going up in flames exactly this way. Just set it down on a hard surface and your laptop can rest peacefully.